The Witch, which is subtitled "A New England Folktale", is the feature length debut of filmmaker Robert Eggers, and has earned A24 Films their biggest opening ever. It is the latest of the popular and critically acclaimed arthouse horror films, which include It Follows, A Girl Walks Home Alone at Night, The Babadook, and Goodnight Mommy, all of which I highly recommend. Of all these films, however, this is also the most controversial. The film takes place in 1630 Puritan New England, where panic and despair envelops an exiled farmer (Ralph Ineson), his wife (Kate Dickie) and four of their children when youngest son Samuel suddenly vanishes. The family blames Thomasin (Anya Taylor-Joy), the oldest daughter who was watching the boy at the time of his disappearance. With suspicion and paranoia mounting, twin siblings Mercy (Ellie Grainger) and Jonas (Lucas Dawson) suspect Thomasin of witchcraft, testing the family's faith, loyalty and love to one another. The reason this movie is controversial is two-fold. First, it is highly endorsed by modern Satanists, who were given an early screening of the film and found it to be in approval of their beliefs. Second, though it is acclaimed by critics, the reactions to this film are mixed, especially for horror fans. Satanists endorse this movie primarily because to them it empowers women in a male dominated society, which is entrenched in superstitious and religious fear and paranoia. It must first be said that this film is not for everyone. It is fairly slow, stylistic, atmospheric, unnerving, and the dialogue can be a bit difficult to understand because there is an attempt at realism where the characters are actually speaking in old English. Whereas these things may be a turn off for many, at the same time it is exactly what many others love and appreciate. The movie is a 17th century horror folktale about a witch, and that is exactly what you get. People who appreciate films like the ones mentioned above, as well as The Shining, Nosferatu, or even Andrei Rublev and the The Village, will also appreciate this film. Horror fans who are used to jump scares and gore and a pace that is quick, may not appreciate this film if their definition of a horror film is narrowed down to only such things. 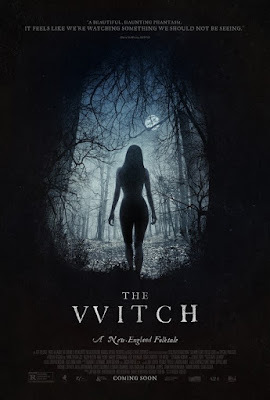 In this film the witch is the realization of the fears of the Puritans, which causes them to overreact and turn on each other. Evil also takes on many forms. A basic theological background of Puritan beliefs about original sin would help one to understand this movie as well. In fact, I would even describe this movie as an original film about original sin. Because for Puritans every human being is an inheritor of the original sin of Adam and Eve and is thus born with a nature that always inclines towards evil. Baptism is a symbolic affirmation that you have accepted Christ as a your Redeemer and Lord and you have been washed clean of your sins due to His sacrifice on the Cross where He once for all took upon Himself everyone's sins to satisfy divine justice. However, to die without Baptism puts you in danger of eternal Hell. Yet when you are baptized you have the assurance of salvation, and God works all things for your good. What The Witch does, however, is take such beliefs to task. It shows how if you base a society on such beliefs, then when some sort of evil strikes, whether it be a natural disaster, disease or something else negative, then someone in that society must be blamed for not living up to their Christian potential. This is also where Puritan moralism comes in. This is how the Salem Witch Trials got so out of hand, killing innocent people due to their paranoia and superstitious beliefs. 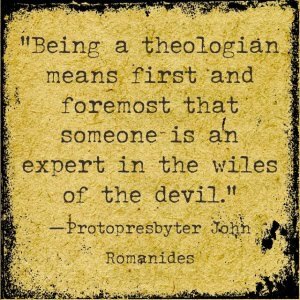 This being the case, as an Orthodox Christian who does not share such beliefs, I also would endorse this film, though for different reasons than a Satanist. I endorse it because it shows the consequences of a twisted, superstitious and false Christianity, albeit in a fairy tale sort of way. It also shows how faith mixed with fear and paranoia is essentially another form of disbelief, which is why the only supernatural power you see in this film is the power of evil and not divine. Thus I highly recommend this original movie about original sin, just be warned that it does crawl under your skin a bit, and even Stephen King said it "scared the hell out of me." If you immerse yourself in it, the anticipation will make your heart pound.